The problem with most businesses is that they have islands of information in different systems - Customers in Accounting, Leads in CRM, Quotes in spreadsheets, Projects in spreadsheets or some other program, forms in network folders, timesheets on paper, emails in Outlook, etc. This creates more re-entry of data and lots of wasteful time hunting for information for the employees. 360EnterpriseSuite's Management Center was designed from the ground up to provide a single database to store and manage all the information and assign it to the right people. It includes the tools for seeing, managing, assigning, delegating leads, customers, vendors, tasks, projects, etc. 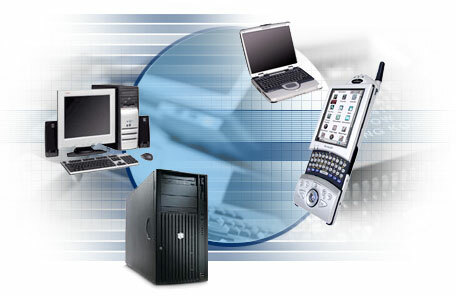 It provides quote to order processing and ability to enter items and manage inventory. This results in a lack of accountability - employees will perform better when there is clarity on what they are responsible for and by when. 360 EnterpriseSuite is 100% web-based with nothing to install on client computers, iPads, or phones). This provides the Flexibility it needs to meet today's business challenges. Examples: 1) You can assign a lead from the website to your salesperson while in the airport waiting for a plane. 2) You have multiple offices, but no matter who takes the call from a customer, all the information for that customer is at your fingertips - including emails. 3) One day, your after hours call center may be in India, your sales in USA, and your manufacturing in China - all working together in the same system. As your company is adapting to the mobile / global economy, your system can handle it without skipping a beat. Sign up for a demo and see.